I absolutely love these onions. I’ve recently started Keto. Do you think a sugar substitute would work just as well? Or should I try with no sugar at all? I definitely don’t think no sugar would be good because the sugar helps balance the flavors. I don’t ever use sugar substitutes, though, so I’m not sure how they would perform in this recipe. Oh wow, unfortunately I have no idea. I’m not very experienced (or experienced at all) with cooking for a crowd that size. I’m one of those unfortunate souls who can’t abide raw onions–and to make it worse, DH adores them. 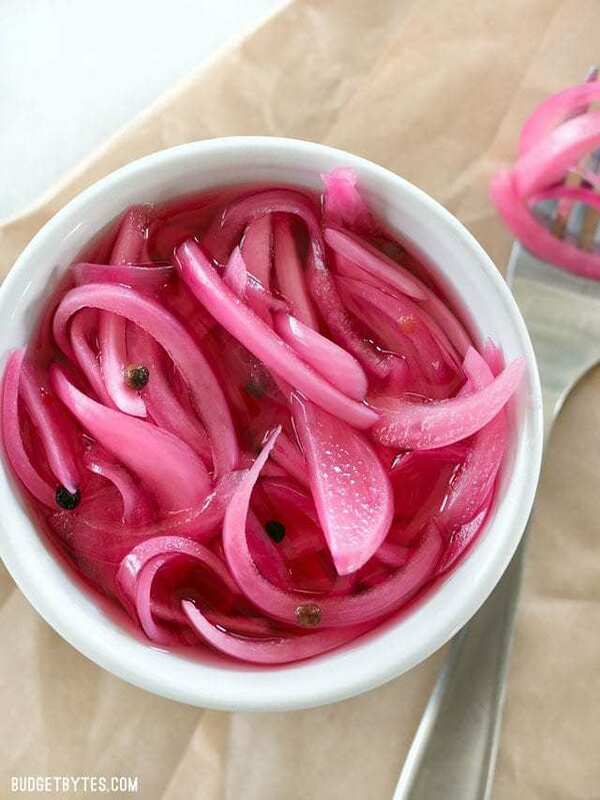 I do, however love cooked onions; pickling does equally well in getting rid of the sulfurous taste of the raw ones and releasing their sweet flavor. This little recipe is genius–the onions are crunchy enough to keep DH happy and sufficiently processed for me to enjoy them, too. And I didn’t even mention how beautiful they are. There are tons of uses, mostly wraps, tacos, and other sandwiches, but they also dress up salads and garnish grilled meats. The color, even without the crunch and flavor, is wonderful to brighten up dull looking things like tuna salad. You can pickle any onions, and if the color is important, a drop or 2 of red food coloring is an easy option. 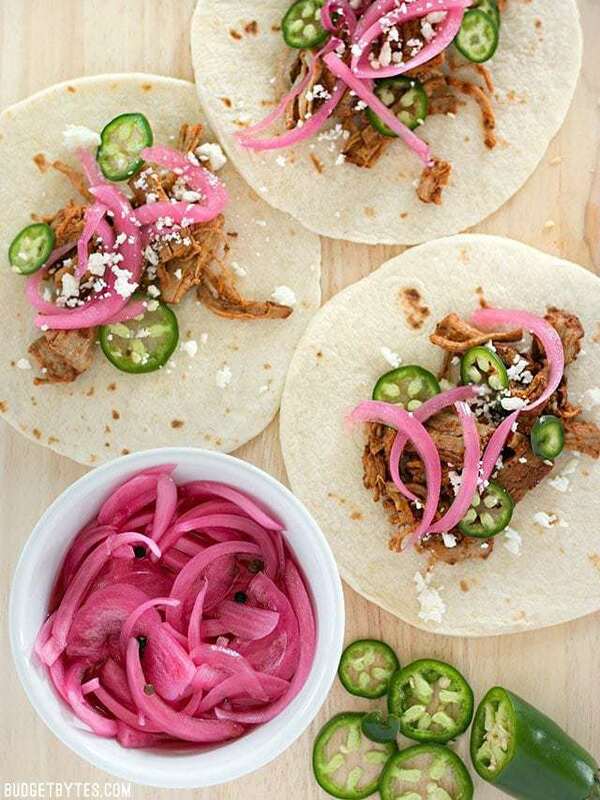 Jarred pickled Vidalias are available at my supermarket from a well known Southern brand–I think I will use this recipe for them as soon as they become available in a couple of months. Amazing. Followed the recipe for soft onion. Very good. Thanks.